The Concours of Elegance 2019 will take place at Hampton Court Palace from Friday 6th September to Sunday 8th September. Running the weekend prior to the Goodwood Revival, the Concours of Elegance will build on the truly international success of its most recent running in early September. Nominated for the seventh consecutive year for ‘Motoring Event of the Year’ at the Historic Motoring Awards, this year’s Concours of Elegance was the largest and most incredible yet. Supported by presenting partner A. Lange & Söhne and a number of major car manufacturers, including Ferrari, McLaren, Aston Martin and Geely, the Concours of Elegance attracted more guests, more exhibitors and more astonishing cars than ever before. 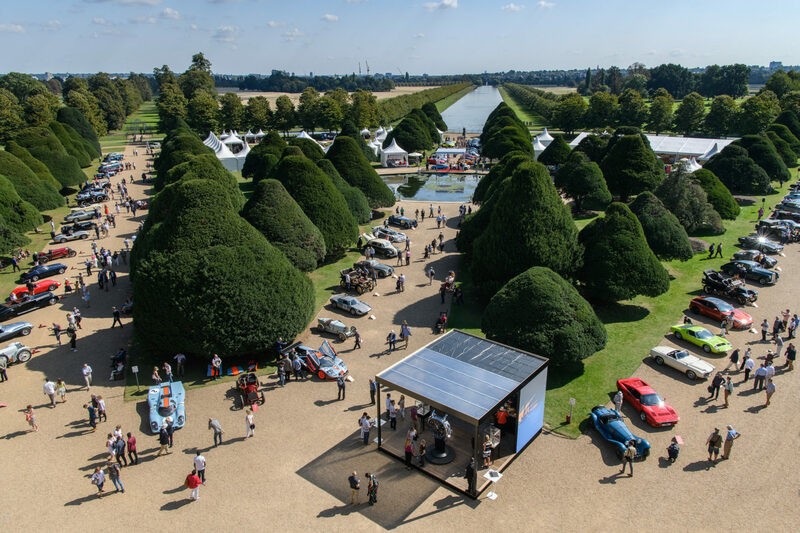 The 2019 event will cement Concours of Elegance’s global reputation for gathering the finest cars in the world in one of the UK’s most stunning settings; the Fountain Gardens of Hampton Court Palace. With the gracious support of Concours of Elegance patron, His Royal Highness Prince Michael of Kent, no other UK motoring event offers the same prestige. Once again, 60 of the finest cars ever built will be the event’s focal point, with 2018’s Royal Automobile Club Trophy winner, the Alvis Speed 25 SC Drophead Coupe by Charlesworth forming part of the line-up. A number of features will be returning for 2019, including the ‘Future Classics’ class, which was won this year by the Rolls-Royce Sweptail.